Benjamin Hart is the Managing Director for Urban and Rural Business Services for the Governor's Office of Economic Development. His responsibilities include overseeing the GOED programs that help Utah businesses to grow. Hart is directly involved in facilitating coordination between programs and partners to help support the many businesses across the State. Prior to his position at GOED, Hart served as the director of employer initiatives for the Department of Workforce Services. During his tenure at DWS, Hart oversaw the department's business services portfolio of programs. Hart helped develop programs such as the Small Business Bridge program, the UCAIR Clean Air Assist program and the Utah Cluster Acceleration Partnership. During his career, Hart has also worked for Zions Bank in business underwriting and Layton City, where he was the economic development and community development block grant administrator. Hart has also served in several statewide positions with industry organizations including the Utah Redevelopment Association, the International Council of Shopping Centers and others. 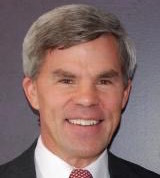 He has also been active member in several national trade associations affiliated with the aerospace and defense industries such as SAMPE, AUVSI and the Air Force Association. 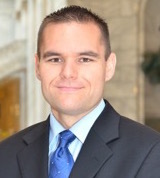 Hart completed both his undergraduate and graduate studies at the University of Utah. Mr. Hoer spent 18 years working in Asia for Continental Grain Company, where he was President & Managing Director of Continental Grain Asia for 11 years. Continental Grain's Asian operations included over 12,000 employees, nearly 40 wholly-owned and joint venture investments (primarily in China) and approximately one half billion in annual revenue. He has spoken on China business topics over 50 times in numerous venues and has been quoted in Business Week Magazine, the South China Morning Post, the China Daily, the Harvard Investment Analyst and various other papers and magazines. In 1979, Mr. Hoer was one of the first 17 students to attend university in China after the United States and China normalized relations. In 1982-83 he taught and consulted at the Xian University of Science and Technology in China. Michael A. Hoer holds a BA in Chinese and an MBA from Brigham Young University. Married to Laurie A. Hoer with four children, he has lived in Asia for nearly 30 years, including Hong Kong, Taiwan, China, Japan, and Singapore. 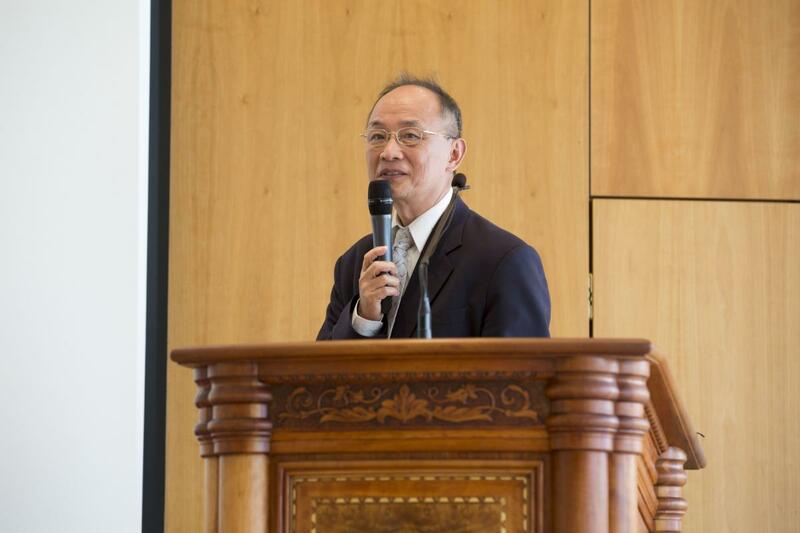 Mr. Hoer retired from full-time employment in 2007 when he accepted an assignment to serve as Mission President of the Taiwan Taichung Mission for the Church of Jesus Christ of Latter-day Saints. He now works as an independent international business consultant and sits on the boards of several foreign and American companies. He is active in community affairs and speaks fluent Chinese. Shu-Pei Wang is an assistant teaching professor in the Department of Asian and Near Eastern Languages at Brigham Young University. She received her Ph.D. in instructional psychology and technology at BYU in August 2007 with a dissertation analyzing grammatical (syntactic) errors and attrition among adult native-English-speaking learners of Mandarin as a second language. Previously, she had received an M.A. in language acquisition (with an emphasis on Chinese) from BYU and a B.A. in Chinese literature and linguistics from National Tsing Hua University in Taiwan. What is BYU China Conference? BYU China Conference is a necessary stop for students interested in China, just as China is a necessary stop for individuals and companies engaged in businesses, technology, science, and more. BYU China Conference directs attention to the growing global influence of China by inviting speakers with exceptional interactions with China and it's people to come share their knowledge, advice, and experiences. Past speakers have included lawyers, film directors, doctors, artists, professors, entrepreneurs and more. 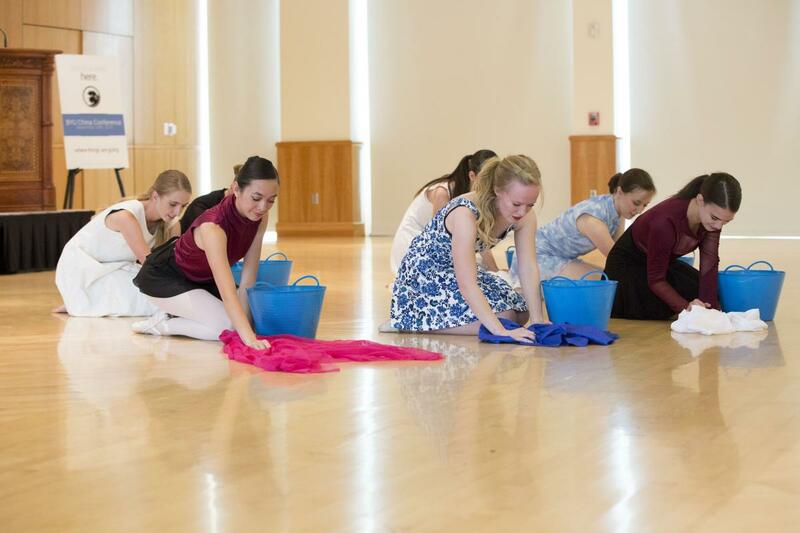 Topics range from building Disneyland to choreographing dances for the Beijing Dance Academy. BYU China Conference's mission is to help attendees discover their own path that leads to China. It aims to provide attendees with an educational, engaging atmosphere where they can listen to informative talks, interact with each other, and discover new opportunities to experience all that China has to offer. View the 2015 Photo Gallery! View the 2016 Photo Gallery! Check out last year's website! Yee Kong Peter Chan received his BS from BYU-Hawaii in 1995, then his MS in instructional science in 2001 and PhD in IP&T in 2003 from BYU in Provo. Since graduation, Peter has enjoyed teaching students from all over the world at BYU-Hawaii, where he created and conducted a program in instructional design and development. He has had great joy seeing his students move on to successful careers and graduate studies in related areas. At BYU-Hawaii, he facilitated international collaborations with institutions in Brazil, China, Mongolia, and other areas in Asia. Peter credits BYU for his professional opportunities and success. "For a large part, these opportunities have come not only because of the training I had in the IP&T department but also due to professional and personal nurture from my teachers. My goal is to mimic the mentorship of these masters." He and his wife, Chin Chin Joyce Tan, are the parents of three children. Jacob is a senior from Draper, Utah studying Global Supply Chain Management. Jacob has been studying Chinese ever since he took his first Chinese class at 14. He served a Mandarin speaking mission to Auckland, New Zealand and is currently working on his Chinese minor. Jacob hopes to have a career focused on helping American companies develop and improve their relationships with Chinese partners and suppliers. 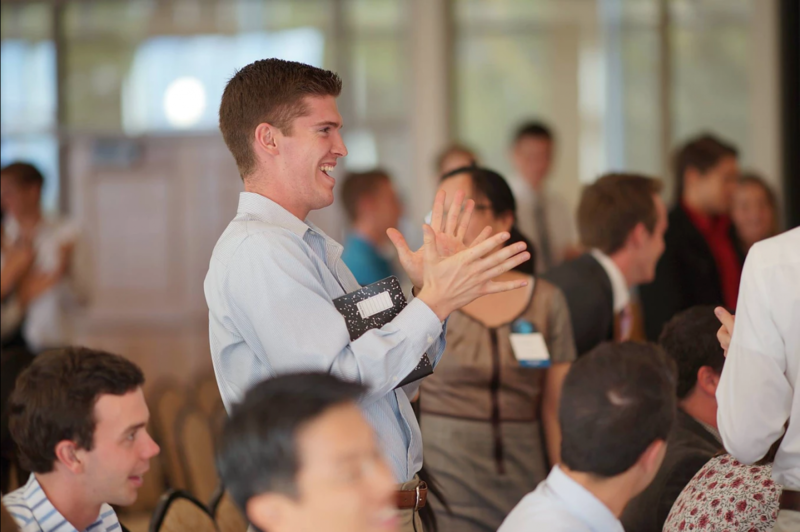 Jacob attended the first BYU China Conference held in 2015 and loved the opportunity it provided to connect with other students interested in working in China and listen to speakers share advice on how to prepare for such a career. 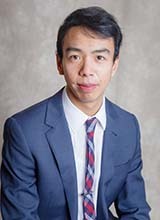 He volunteered as the Director of Operations for the 2016 China Conference and is currently serving as student president of the conference, directing and coordinating the efforts of other committee members. Jina comes from the far off land of Taipei, Taiwan and is currently working on her Master's Degree in Mass Communication. Jina served her mission in Taiwan and her career goals are focused on social media marketing. After attending last year's conference, Jina chose to get involved with the conference committee and user her talents to help plan and improve the conference for future attendees. Jina has worked on creating and executing the conference's marketing and advertising plan, including overseeing the creation of all marketing and advertising materials. Leo was born and raised in a small town called Toufen in Miaoli, Taiwan. He served his mission in the Washington DC North Mission, the greatest mission in the history of life. He is currently studying Information Systems in the BYU Marriott School, and he plans to pursue a career as a software engineer in the near future. As the newest member of BYU China Conference committee, Leo is responsible for contacting and working with the McKay School Web Team to create this year's website. He wants to contribute his talents and abilities to make this year's conference the most successful one ever. Oscar is from Villa Nueva, Guatemala and is majoring in Asian Studies with an emphasis on China. He is also working towards a Global Business and Literacy minor as well as a Chinese minor. He served a mission in Taipei, Taiwan and speaks Chinese, Spanish and English fluently. Oscar got involved with China Conference after a friend introduced him to the conference and invited him to a committee meeting. Oscar feels that China Conference provides students with a great opportunity to meet other people with similar goals of working and studying in China as well as interacting with professionals who have already succeeded in China. Oscar has assisted with general planning for this year's conference as well as speaker outreach. Laurie hails from Springville, Utah and is majoring in Chinese. She served a mission in Tainan, Taiwan and has studied Chinese ever since she went to China on a performance tour in 2006. 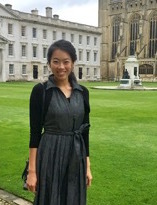 She has participated in many programs such as BYU Startalk, the Nanjing study abroad, and the Chinese Flagship Program. Her love for the Chinese language and people are what motivated Laurie to volunteer on the conference committee. Laurie has helped with building the China Conference College panel and other general planning activities. Josh comes from Gaithersburg, Maryland and is majoring in Mechanical Engineering. He served a mission in Tainan, Taiwan and has been involved with BYU China Conference ever since its inception in 2015. Josh knows that a significant part of the world's population is Chinese and that taking part in the culture can greatly improve a person's chance of success in the world. He wants to help bring that opportunity to those who attend the conference. Josh's responsibilities have been focused on operational planning for this year's conference. Simon is from Provo, Utah and is majoring in Mechanical Engineering. His future career plans involve building prosthetics and helping to bring Chinese business to America. 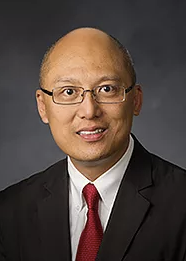 He has been involved with BYU China Conference for the past two years and wants to help students and others at BYU learn more about and accept Chinese culture. He has assisted with planning this year's conference activities, creating the college panel, and operations planning. Megan was born in the United States and raised in Hong Kong. She is a Human Resources major and is currently working toward her honor thesis on diversity management as well as a global management certificate. She served her mission in Vancouver, Canada and has taught both Mandarin and Cantonese as a teaching assistant at BYU. Megan's experiences in Hong Kong and China, as well as her love of bringing people together and promoting cultural understanding encouraged her to volunteer on the conference committee. Megan's responsibilities included identifying work, volunteer, and study abroad opportunities as well as coordinating the acquisition of materials to display at the conference. 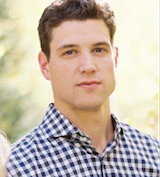 Phillip was born and raised in Provo, Utah. 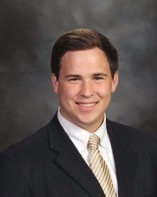 He has studied Mandarin for 7 years, including serving a LDS mission in Taiwan, Taizhong. He is a Junior in the Mechanical Engineering Program. 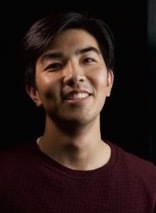 He believes studying Chinese as an American Born Chinese has been both one of the most difficult, but rewarding experiences in his academic career. He hopes to act as an international liaison between American and Chinese Engineering Companies in joint research and business projects. Want to join China Conference? We're always looking for students to help plan next year's China Conference. If you are interested in joining the planning committee, send your resume and a brief description of why you are interested in planning China Conference and what skills you would bring to byuchinaconf@gmail.com.